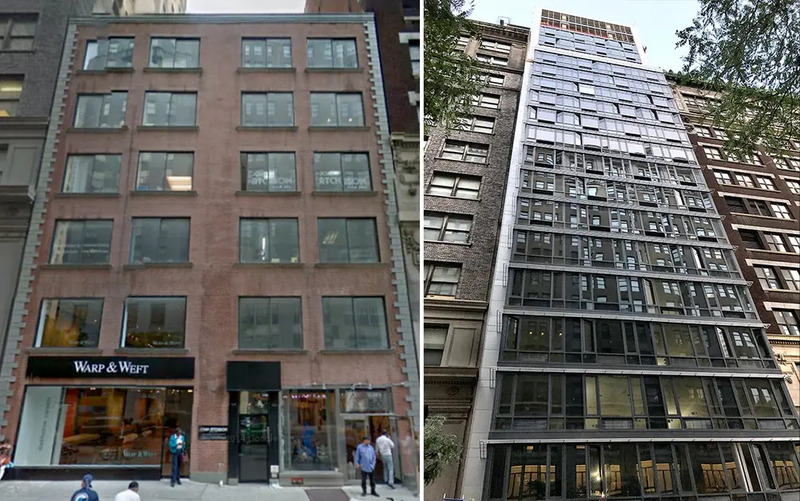 Madison Avenue is one of New York’s great thoroughfares but apparently, the developers of 145 Madison didn’t get the memo. 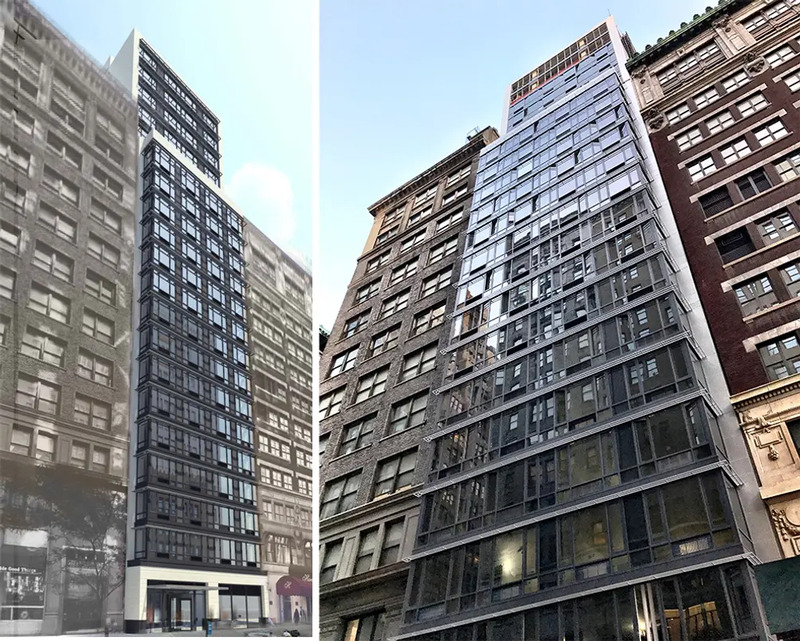 The curtain has lifted on Kahen Properties 21-floor rental revealing a prosaic glass façade with solar louvers (does the sun even shine here?). 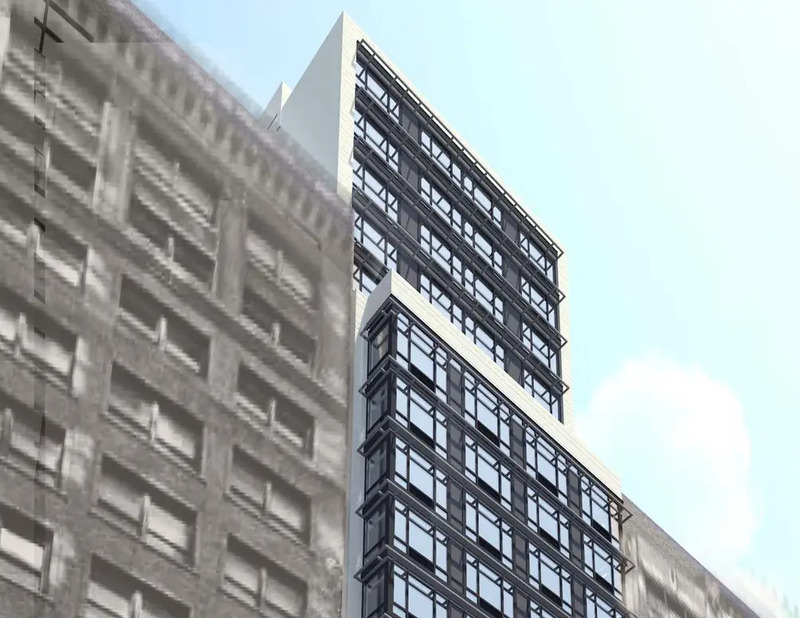 The catalog-ordered curtain wall is not only unrelated to anything on the street but even odder is the building bumps out several feet beyond its neighboring pre-wars. We must admit, however, the building is an improvement to the pink-brick and quoined pile it replaces. It’s just that this anonymous design would be fine in some other anonymous location. 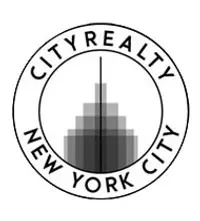 Alex Kahen, head of the Midtown South-based development firm, picked up the mid-block property between East 31st and East 32nd street for $12.2 million in 2013. Per building permits filed in 2015, Steven B. Jacobs Group Is the architect of record and here will 71 units spread across 56,306 square feet of residential floor area. Most floors will have between 3 and 4 apartments, and there will be an accessory roof deck, laundry room, and bike room. 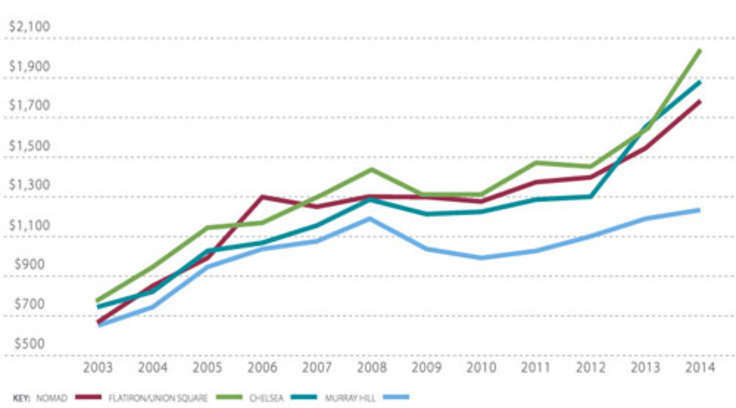 Leasing should begin by year’s end and Winick is handling the lease-out of the ground-floor retail.